“In attending County Commission, Planning Commission, and various City Council meetings regularly for several years, I see many things that we do well as a community and many that we can do better. Government transparency is a fundamental building block in making sure that citizens have open access to the government and that the government is being a good steward of available resources. 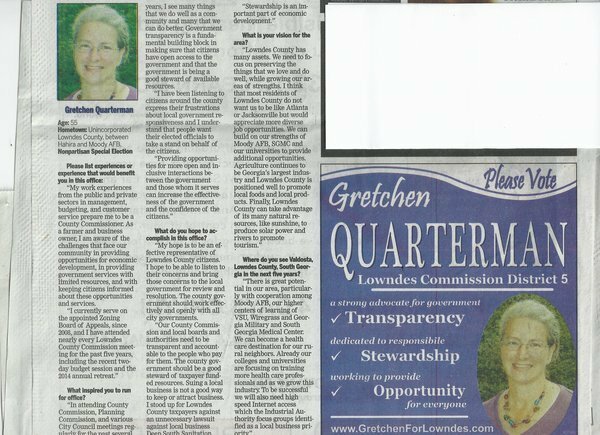 “I have been listening to citizens around the county express their frustrations about local government responsiveness and I understand that people want their elected officials to take a stand on behalf of the citizens. What do you hope to accomplish in this office? 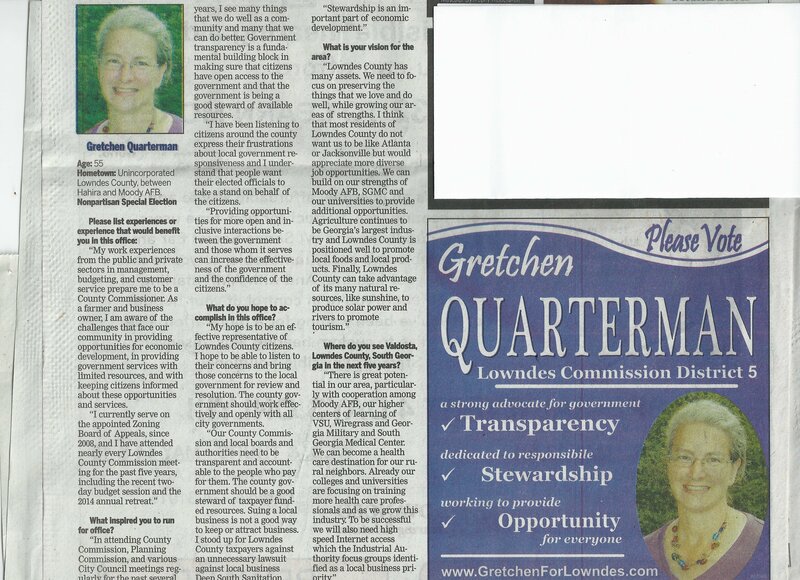 “My hope is to be an effective representative of Lowndes County citizens. I hope to be able to listen to their concerns and bring those concerns to the local government for review and resolution. The county government should work effectively and openly with all city governments. “Our County Commission and local boards and authorities need to be transparent and accountable to the people who pay for them. The county government should be a good steward of taxpayer funded resources. Suing a local business is not a good way to keep or attract business. 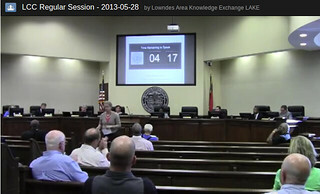 I stood up for Lowndes County taxpayers against an unnecessary lawsuit against local business. 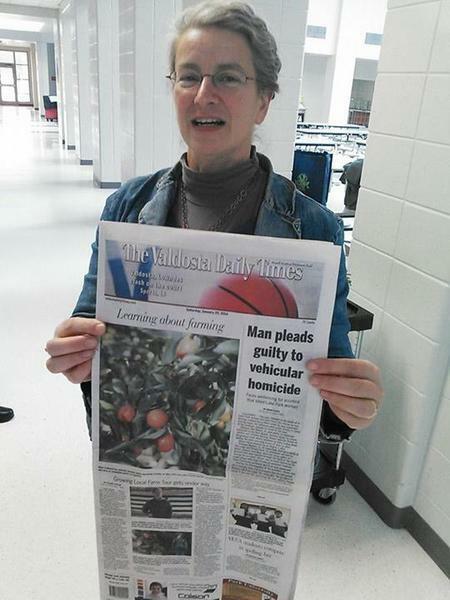 What is your vision for the area? 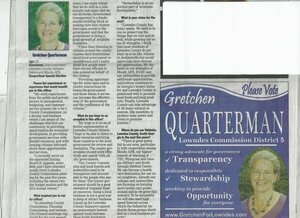 “Lowndes County has many assets. We need to focus on preserving the things that we love and do well, while growing our areas of strengths. 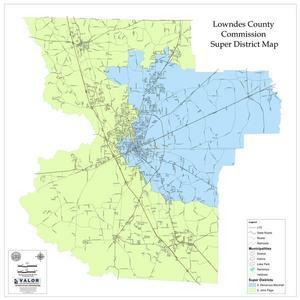 I think that most residents of Lowndes County do not want us to be like Atlanta—or Jacksonville but would appreciate more diverse job opportunities. We can build on our strengths of Moody AFB, SGMC and our universities to, provide additional opportunities. Where do you see Valdosta, Lowndes County, South Georgia in the next five years? “There is great potential in our area, particularly with cooperation among Moody AFB, our higher centers of learning of VSU, Wiregrass and Georgia Military and South Georgia Medical Center: We can become a health care destination for our rural neighbors. Already our colleges and universities are focusing on training more health care professionals and as we grow this industry. To be successful we will also need high speed Internet access for everyone, which the Industrial Authority focus groups identified as a local business priority. This Special Election Day is tomorrow, May 20th! 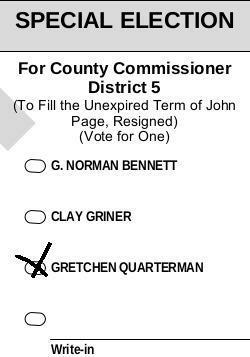 Please vote for Gretchen Quarterman for Lowndes County Commission District 5.